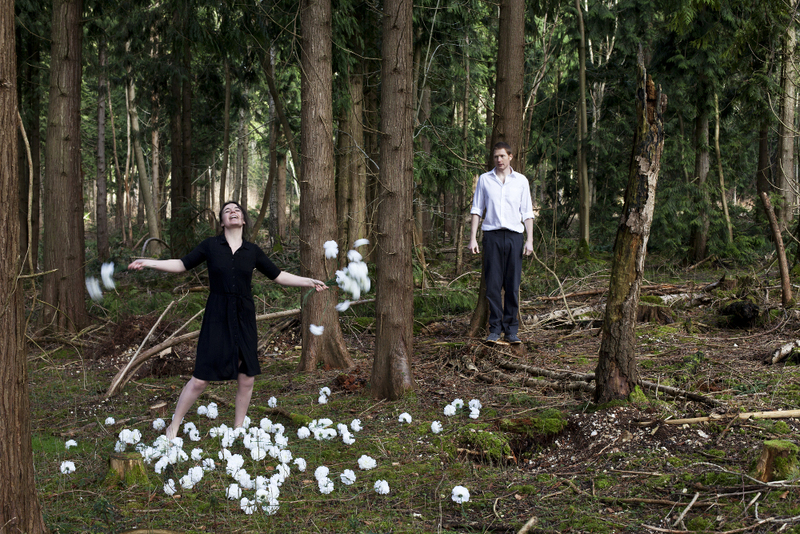 Two performers ­ a man and a woman ­ on a bare stage with 400 flowers. The woman tells a heart­wrenching story about her sister almost dying. She speaks in Bulgarian. The man struggles to translate. When the story becomes too much for her, the woman stops and dances to pounding Eastern European gypsy music. Over the course of an hour, we learn the heartfelt story and we discover the relationship between the couple on stage. Near Gone won the inaugural Pulse Fringe Suitcase Prize and the Total Theatre Award for Innovation, Experimentation and Playing with Form at Edinburgh Festival Fringe in August 2014. Near Gone is a Colchester Arts Centre co-commission supported by Arts Council England and The Point, Eastleigh. New York visit supported by Caravan. Performances in Edinburgh supported by Arts Council England and escalator east to Edinburgh.